The Honeywell HRFR3 True HEPA replacement filter R is fully capable of capturing an astonishing 99.97% of airborne particles at .3 microns from any air passing through the filter. This package includes 3 HRFR1 filters and is compatible with the HPA090 Series, HPA100 series, HPA200 series, and the HPA300 Series. 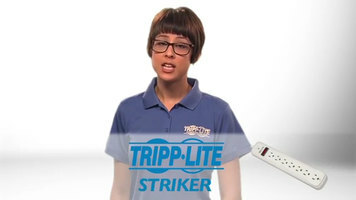 It is highly recommended that you change your filter annually for optimal performance. Established an unrivaled breathing experience with Honeywell and their second to none filters. 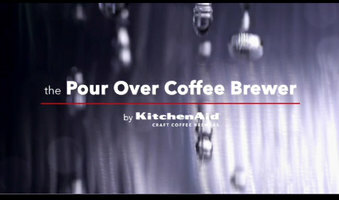 The KitchenAid pour over coffee brewer is deigned to make a cup of coffee exactly like you would get at a coffee house. The pour over process has been meticulously developed to ensure every cup of coffee will have an authentic pour over flavor. Check out this coffee brewer for your kitchen! 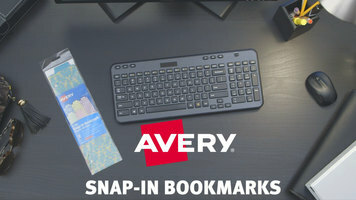 Customize and organize your office with the snap-in bookmarks from Avery. Easy to make and easy to use, these bookmarks are perfect for dividing 3-ring binders and planners to make your work and daily schedules easier to keep track of and neater to maintain!